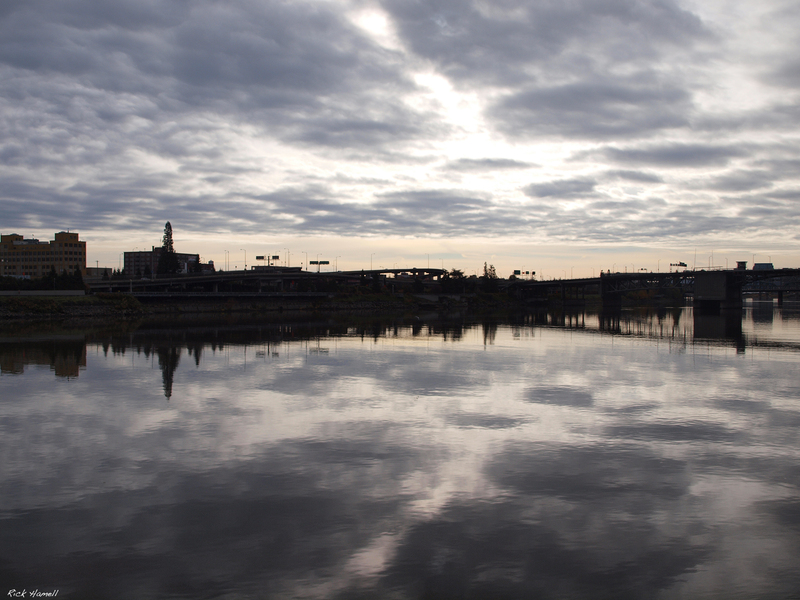 This was taken from Portland’s Tom McCall Waterfront Park in mid-November 2011. We had stopped by Saturday Market for Gyros and Elephant Ears. It was a fairly warm Autumn day, about 50 degrees or so, little to no wind, so almost perfect weather for November! Waterfront Park has always been a pretty busy transportation corridor. But near sunrise, in the fall, we had it almost all to ourselves.